Good news! 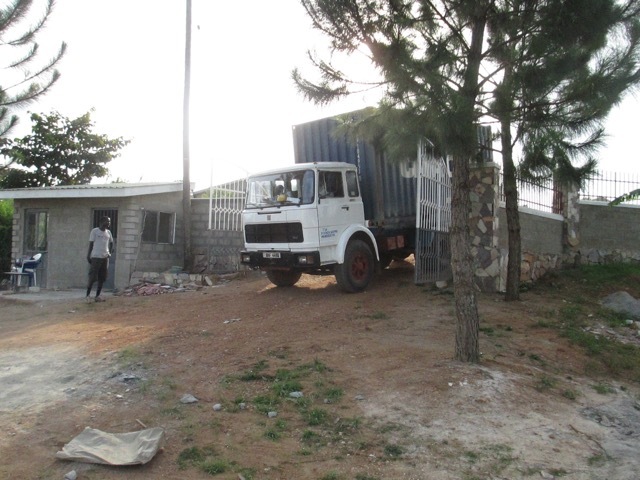 — the container which left from Halifax, NS in late December has now safely arrived at Africa Reformation Theological Seminary, Uganda — one of our partner institutions. It arrived at the Seminary on March 14th. PTL. Friends of the trust extend their sincere condolences to Jack and Nancy Whytock in the loss of Nancy’s father, Rev. William Campbell, on Friday, March 13, 2015. Nancy has come home for the funeral, which will be on Tuesday. Please hold the family in prayer. Rev. Campbell had a keen interest in the work of the trust at home and abroad. He will be deeply missed, yet we rejoice in knowing he is home with his Saviour, Jesus Christ. See Table of Contents here. As some of you may be aware, Dumisani Theological Institute in King William’s Town, South Africa has approached Dr. & Mrs. Whytock to offer their gifts in service there. 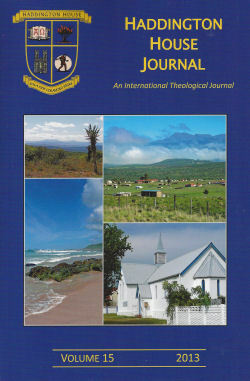 Dumisani is a mission college supported in part by the International Mission Board (IMB) of the Free Church of Scotland. The Whytocks went out to Dumisani twice in 2012 and have felt led by the Lord to pursue this request. Dumisani has been aware from the outset that if such an arrangement were to be made, it would require partnerships. We are pleased to announce that such partnerships are now in place, and the Whytocks will be going out to Dumisani for two three-month teaching blocks in 2013. The Free Church of Scotland IMB has generously agreed to partner with Dumisani and Haddington House Trust in this venture. Explorations are also underway to establish an American administrative partnership for Dumisani. This is the global model for missions today: “We stand together as church and mission leaders in all parts of the world, called to recognize and accept one another, with equality of opportunities to contribute together to world mission” (Lausanne III Commitment). Haddington House Trust’s role in this partnership is one of administration. It has been asked by the IMB of The Free Church of Scotland to administer a travel and medical expense fund that will be used for the Whytocks’ expenses in these two areas. Churches and individuals are welcome to support this fund – The Dumisani Travel and Medical Expense Fund. All donations received from Canada will be tax receipted at the end of every calendar year. Dumisani Theological Institute, The Free Church of Scotland and Haddington House Trust extend their sincere thanks to Miss Christina Lehmann (Haddington House Administrator) and Miss Penny Ching (Bookkeeper) for their work in administering this fund.